A Fitzroy property which was put to the market at 11.45am on Monday morning sold at 2.30pm in the afternoon in the quickest sale of the year and a demonstration of the hot market for development sites in Melbourne. The 44-46 Greeves Street property, comprising a 500 square metre building on a 450 square metre site, sold for $3.2 million – the asking price – to a local developer with plans for a boutique apartment project. Zoned General Residential 1, the corner site has 62 metres frontage and is located in a prime position only metres from Brunswick Street retail precinct and is surrounded by multi-unit residential developments. It was sold with a short term lease providing holding income. Savills State Director - CBD & Metropolitan Sales, Clinton Baxter, who marketed the property with Associate Director, Jesse Radisich, said the purchaser had been an under-bidder for a property at 71-75 Argyle Street, Fitzroy which Savills sold last month to Piccolo Developments for $7.8 million. "We launched it to the market, and began calling potential buyers. One of the under-bidders from our recent sale of 71-75 Argyle Street, jumped at it, came straight into the office with a deposit cheque and purchased the property for the full asking price of $3.2 million. "He did not want to miss another chance in Fitzroy, which is one of the hottest and most highly-sought suburbs for residential development in the Melbourne market. 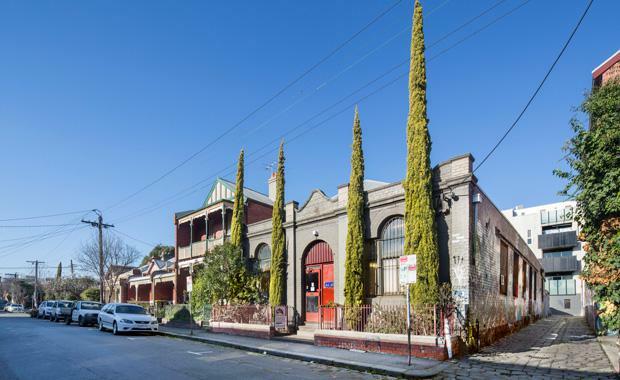 "Currently, there are no freestanding commercial properties on the market in Fitzroy, so the timing couldn’t have been better,’’ Mr Baxter said. Mr Radisich said the fact that the property was passed in at auction for $2.9 million by another agent last year clearly demonstrated the ongoing growth and demand in the market for boutique inner-suburban development sites. "There is no greater demonstration of the demand for apartment development sites than this result, should anyone be in any doubt about the health of the inner Melbourne apartment market,’’ Mr Radisich said. The vendor, a local investor, purchased the property in 1986 for $190,000 and has sold at an appreciation rate of $100,000 per year for 30 years.